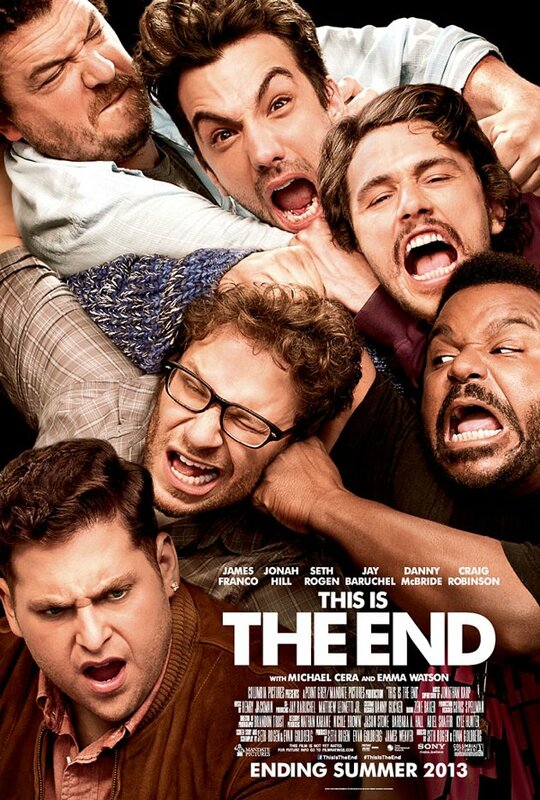 This is the End is one of the most fun movies I’ve seen in ages. It’s a silly extravaganza, a huge bunch of nonsense, but, boy, it’s entertaining. Seth Rogan picks up his friend Jay Baruchel at the airport, and takes him to a party at James Franco’s house. While there, The Rapture occurs. Left behind, a small bunch of movie stars deal with each other. That’s the concept. Well, not entirely. The other concept – the killer one – is that the movie stars play themselves. Not like “Harrison Ford always plays himself”; Seth Rogan literally plays “Seth Rogan”, James Franco plays “James Franco”, and so on down the line. This was obviously a huge gamble, and, if it hadn’t paid off, this could have been a thirty million dollar piece of masturbation, the most self-serving, self-indulgent, self congratulatory exercise in artistic history. But it does pay off. It’s really funny. To run with the Harrison Ford analogy, these movie stars play themselves in the way that “they play themselves”. So Seth Rogan is genial, a pot smoker, a great bloke who means well. James Franco is outwardly cool while actually being up himself, pretentious and needy. Jonah Hill is “America’s sweetheart”. The second tier includes Baruchel, Craig Robinson, and, best of all, Danny McBride. I have seen very little of McBrides’s work, but he is fantastic in this movie, playing himself as a sort of piggish, self-centered Eric Bogosian. He’s got a real charisma. Of course, they’re all self-centered: it’s a pre-requisite to being a movie star. To their credit, they play it to the hilt (and in minor roles, Michael Cera and Channing Tatum take it to even further hilts). To his credit, Rogan, who wrote the screenplay – and directed the movie – with Evan Goldberg (who I’m assuming has a cameo in there somewhere, it’s that kind of party) is one ballsy guy. 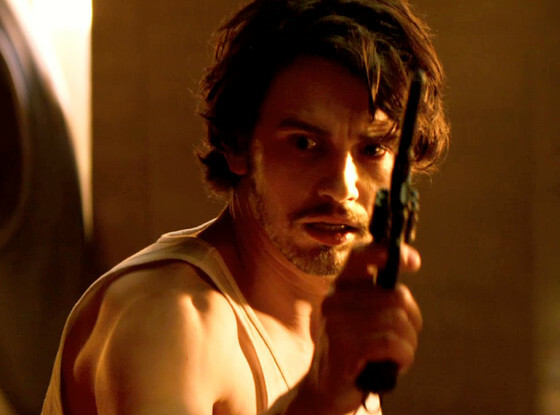 If I was James Franco’s friend, and I wrote him as this “James Franco”, I’m not sure I could have shown it to him, let alone hired him, directed him and then released this version of him into the multiverse. This film is one big in-joke, but it’s a very good one.